People have been asking what this weather is going to do to our vines. Is it good? Is it bad? WELL. It is good if the weather stays like this. It is bad if we have a few weeks of this weather and then a frost. Right now, the vines are still asleep...so even if it gets cold again this weekend, we will be OK. If it stays warm like this for the next week or so, and the vines wake up and the buds start to push, we could be in a world of hurt if we get a frost! So, let's hope that the weather stays warm....or stays cold. Let's hope that Mother Nature just makes up her mind as to whether it is currently winter or spring! Last night, we were at the Bucks County Locavore event. It is always a great event, but last night (probably due to this weather) was amazing. So many people came out! There were so many great things to try from other producers as well. Because I am on my crazy diet, I only got to try some tomato sauce...but it DID NOT DISAPPOINT. Shaina got to try many more items than I did. I was even able to introduce her to the most delicious Belgian Waffles the world has ever known. Nina's. If you ever have a hankering for waffles and ice cream and you find yourself in Doylestown (or Lambertville)...you MUST check out Nina's Waffles. AMAZING. After Matt and I are hitched, I am definitely going to get some waffles. 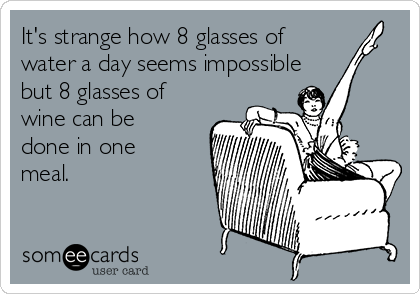 Tomorrow is National Drink Wine Day!!!!!! They have a holiday for everything these days! When I used to listen to other Sirius radio stations besides the 80s on 8 (I have not changed this station in my car for almost 2 months...) I used to listen to the hits. I think it was channel 2. Anyway, every single morning they would always say "today is national (insert weird thing here) day!". I mean, there are things like National Fried Shrimp Day, National Cupcake Day, National Chocolate Day, National Ice Cream Day.... I feel like everything that is semi bad for you has its own day! I have yet to see a National Broccoli Day, Brussels Sprouts Day, Teeth Cleaning Day, or Go for a Run Day. I feel like maybe we should insert some of those days to counteract all of the junk food days. Can you tell that I have been eating healthy for too long? Betty White is the best! Can you believe that she is 95 years old? That is crazy. She sure does have a lot of pep! How is she so funny? We need more people like her in the world. 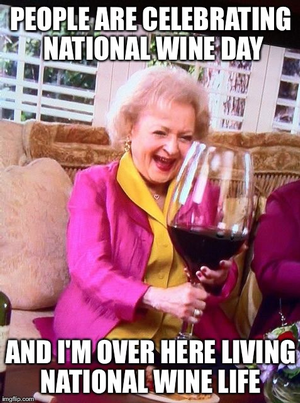 I hope that you are well stocked for National Wine Day. Once Sunday rolls around and you find that you need to replenish your inventory...keep Karamoor in mind. Don't forget that our 2013 Chardonnay is on super sale right now! *Hilarious sidenote: One time, my grandmother was ordering some takeout for a family get together. The person on the phone asked her if she wanted "soup or salad", to which she replied, "Yes, I will take the super salad". Super sale reminded me of that story. Anyway, the 2013 Chard is on sale for $25.50 per bottle and then there is an additional 20% off full cases! Getting the price to $20.40 per bottle. Now that's crazy! The first actual snow storm of 2017! I was verrrrry skeptical of the weather reports on Tuesday that said that after an almost 70 degree day, we would be getting snow (and not just a dusting). Those weathermen just never seem to be right, so I usually do not pay any mind to their "severe weather advisories". I woke up at 4AM to the sound of rain. I was like, "OK! Guess they were wrong. Back to bed and then to the gym in an hour and a half!". At 5:30AM, it was a full on blizzard and the gym was closed. I think I have told you that I live in Doylestown, and I guess the further outside Philadelphia you got, the more snow you got. We got about 6 inches in 5 hours! We have a super long driveway and let me tell you, that snow was HEAVY. I didn't even have to go to the gym to get a workout! I am really glad that I shoveled when I did because after the snow, the sun came out and did some work with the salt I spread. If I had waited to shovel, the driveway would have been like a sheet of ice! Down here at Karamoor, we only got about 3 inches. Maybe even less! Crazy what 20 miles difference will do. All this up and down with the weather is not so great for the vines. Hopefully Mother Nature figures out soon if it is going to be winter or if it going to be spring! We had a great tour last Friday (2/3). The group was a lot of fun. I think that the best thing about the tours that we give is the fact that they are super personal. People really seem to like that aspect of things. 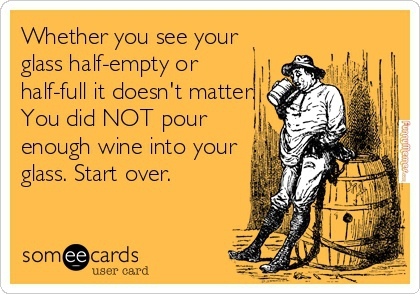 That and of course the drinking of wine! Our tour for Valentine's Day is completely sold out, but we still have some spots available for 2/24! I hope that you come to visit us soon. Lots of wedding prep happening this week! Finalized the menu for the rehearsal dinner and for the reception. People are getting their invitations which makes everything seem very real. My dad and I picked the song that we are going to dance to and I just made us a dance lesson appointment (I am a BAD dancer). I have been chatting with my cousin (MOH) about the bachelorette party and I am getting SO EXCITED for it. I can't believe that we are only 2.5 months away from the big day. Seems crazy! Next week I will include some new winery photos. We have been changing things around quite a bit and this week we have been doing construction to the main portion of the winery where our new tanks will find their permanent home (because for the last few months these shiny new tanks have just been sitting in the middle of the winery taking up lots of room)! So, stay tuned for that! I hope that you have a wonderful weekend. Until next time..
Another week gone! It's February! Only 84 days until my wedding! Lots of !!!! We got out the invitations this week. That was a big project. I had to tie so many pieces of string that my finger got a blister on it. They looked cute though, so the blister was totally worth it. In addition to finishing the invites last weekend, Matt and I went to Crossfit with my parents again! Did I tell you that for Christmas, we got them a 10 punch card to the gym that is closest to their house? They are both very active anyway, but Matt and I thought they would have fun incorporating Crossfit into their fitness routine. I think they are enjoying it. It is nice to share something that both Matt and I enjoy with my parents. It has been a fun Saturday morning thing. We head over to their house, pick them up, head to class, and then we cook breakfast and hang out. It has been great.